Rosales offers a sorely needed chronicle of the fastest-growing so-called minority population in the U.S. He reaches back to the Mexican-American War, as a result of which Mexican territory was cut in half and tens of thousands of Mexicans became Americans overnight. The author then discusses the Mexican Revolution and its effect on emigration. 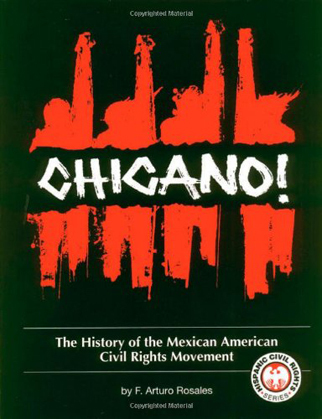 The book is an education and inspiration; particularly, the moving chapter on the United Farm Workers and its founder and leader, Cesar Chavez, will give light and hope to anyone who has doubts about the power of love and peace to move and change social, political, and economic ills. Raul Nino –This text refers to an out of print or unavailable edition of this title. Francisco A. Rosales, Arturo Rosales. Chicano! : The History of the Mexican American Civil Rights Movement. Arte Publico Press, 1996.